If you’re like most home buyers, you’re anxiously awaiting those three magic words “Clear to Close”! Closing your loan is the final step in the home buying process. During the closing, you will be finalizing and signing off on the purchase and accepting the terms of your new loan. While the closing procedure varies depending upon local law and lender practices, in most situations you will sign all of the necessary documents in the presence of a title or escrow company closing officer. In most states it is not required to have an attorney present, but it is always your option to have one if you wish. A few days prior to closing, VIP Mortgage will send instructions and documents to the title company on how the loan is to be documented. The closing agent will make sure that all necessary papers are signed and recorded and that funds are properly disbursed and accounted for when closing is completed. 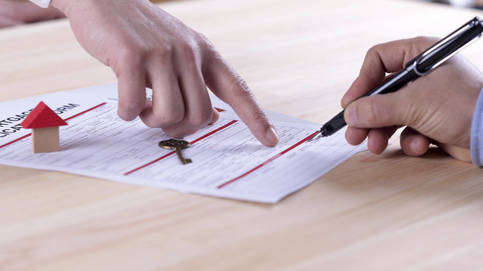 Often buyers and sellers sign the closing documents separately. However, it is possible that the seller and real estate agent will be present for your closing. Once the paperwork is done and signed, your loan is closed. Now what? Your closing documents will outline the possession date which is the day you will get the keys to your new home and be able to move in. If the possession date is the same as the closing date, you will get the keys after signing. Otherwise, arrangements will be made to pick up the keys on your possession date. The signing and closing process may take some time as you have to get through all the paperwork and ensure there are no discrepancies. Then it is up to the title company to finish the post-closing process. Your title company will make sure all liens are released, home owner’s association dues are paid, and other dues and deposits are settled. But essentially, you are done with the home buying process! In the home buying process, all roads lead to an on-time, successful closing! I have built my reputation and career working with my clients to make this as hassle-free as possible for my clients. Call me at 602-900-1319 and let’s talk about how I can help you get to your successful closing!